What prevents you from asking for help? I have written previously about being stuck. One of the steps of getting unstuck is asking for help. Sometimes it is the most difficult step to take. There is a significant disadvantage to not reaching out to others. Frequently we get stuck because we run out of options and don’t have another viable solution. Asking for help creates new opportunities of finding solutions we didn’t have previously. So how often do you not ask for something you need? A conflict? A job search? A new business plan? Getting started on a New Year’s Resolution? What keeps you from reaching out beyond yourself for help? Our pride, ego, fear, and shame keep us isolated from finding new solutions. I have written about reducing negativity and “Tell Me Something Good” as ways to improve our mental and emotional perspective of the world. When strung together, these individual acts become a habit of practicing gratitude. If you are searching for a way to change how you appear in the world, and how the world appears to you, developing the skill of being grateful will have a positive impact on every aspect of you life. Just like any other skill or ability, practicing gratitude can developed at different levels. Just like training for a race, or using a new software system, if you don’t practice and create a habit of developing gratitude, you will lose that ability. Don’t be fooled, this is not a simple task. There are many many more self-help books and blogs and webpages on losing weight or building physical strength and endurance than there are “how to’s” on practicing gratitude. The culture we live in clings to negativity and fear and being grateful quickly becomes a challenging task. So where to start? I recommend beginning with your phone. 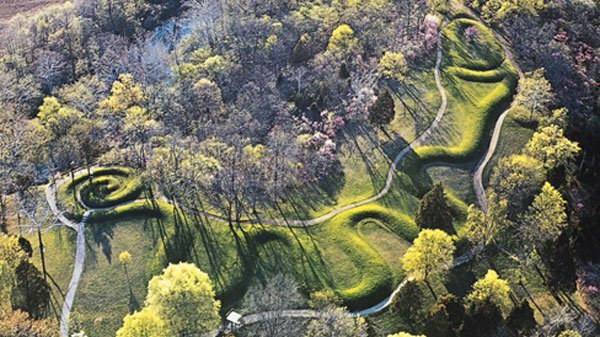 Take a few minutes and scroll through the photos on your phone. Not the ones you have posted to social media. Not someone else’s public highlight reel. The images you have saved over the last 12 months that mean something to you. Re-member all of the things that have happened (and you may have forgotten). The next level of development is to write the things you are grateful for down so you can see them. Write them into your phone. Make a spreadsheet. Put a list on the fridge. Create a journal and document your practice so you can see how it develops. The next level up becomes repeating this process frequently. Just like going to the gym, it is not a one-and-done activity. Write 5-10 things down 3 times a week just to start. How long does it take to get to 10 gratitudes in one day? In our high-pressure, fast-paced, win or get-out-of-the-way culture, rarely do we ever make room for a non-binary response. Is there room in your life for a pause? Becomes sometimes it rains. I was reminded of that line this week as we watched the rain wash out several days worth of plans and activities. We put so much pressure on ourselves to constantly produce that we sometimes we lose track of the benefits of having to stop and rest every once in a while. Play is an important part of being human (regardless of your age). Taking time to get lost in something you enjoy is critical to finding meaning and purpose in our lives. As a culture (and especially as adults) we are terrible at playing. We tend to get so focused on the list of things we want to accomplish and check off the list that we forget to refuel ourselves. Even when we create space to re-create or vacate, we fill our recreation and vacations with endless tasks that are more ‘doing’ than ‘being’. The ability to lose track of time while playing. And being sad when it has to end. Have you ever observed a small child on the playground? They get lost in the experience. They could be there for hours without stopping. And how often is that child upset when it is time to go? They were having fun! They were lost in play! So what about you as an adult? That need still exists. How do you refuel yourself with something play-full? If you are ‘getting things done’ and being productive, you aren’t playing. But the possibilities of being creative and having fun without direction are nearly infinite. By not taking time to play we are making all of the work we do more valuable than who we really are. What is the point of all of the hard work if enjoying life does not become a priority? So where are there opportunities to introduce more play into your life? How much do you worry? What do you worry about? Do you pay attention to amount of time and energy you put into worrying? Worry is different from fear in that by worrying we end up right back where we started and nothing has changed. It is the same as rocking in a rocking chair – it is something to pass the time, but not matter how long or fast you rock in that chair, you finish right where you started. Some of us have graduated from the rocking chair to the hamster wheel of worry, and we worry as fast as we can and never go anywhere. This is different from fear as fear motivates us to DO SOMETHING! Fear, whether we like it or not, prompts us to change. Worry can also be like a slow leak in a tire. It drains our energy and time. Have you ever had a tire on a car or bike that slowly leaks? It isn’t draining fast enough to prevent you from getting through the day, but every once in a while you have to stop and fill it back up. It takes time and energy from other things. Worrying distracts our attention and effort. One important aspect of personal growth and development is the ability to recognize that we have lots of different aspects to who we are. One important aspect to watch out for is The Critic. This negative part of our personality blames, shames, and steals energy and power. He or she gives the running negative commentary while we go through our day and is a pro at endlessly micro-analyzing the tapes of our mistakes and failures after the fact. When you hear yourself saying out loud or saying to some one, “It wasn’t good enough!”, or “I should have known better!”, or “What is wrong with me?” – THAT’S the Critic. This part of you is frequently relentless and can adapt to how it delivers it’s negative message. It can be vicious and sinister! Another important aspect of The Critic is – you weren’t born with this piece of you. If you find that hard to believe, watch your local preschooler play as they run around in their super-hero cape. They don’t have that critical self-talk built in yet! They have to be taught to believe they aren’t good enough or that they don’t fit in. Critical self-talk is a product of our early growth and development! 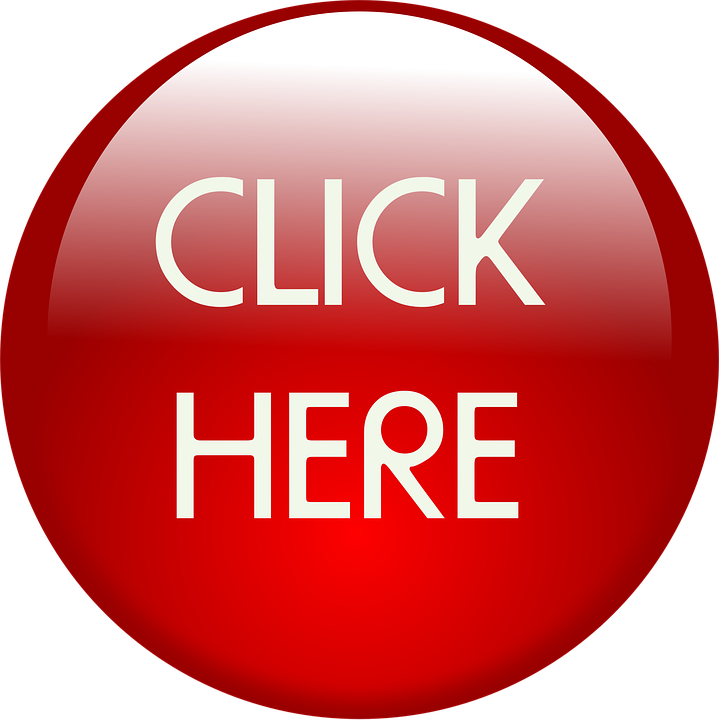 I wanted to share a tool that has been around a long time and that I have used for several years with great success with my coaching clients. I have always called it the Urgent vs. Important Grid. 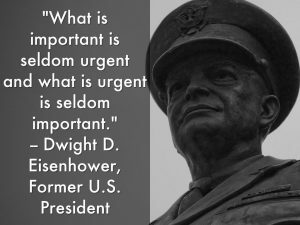 Today I learned it is called the Eisenhower Method as it was coined by President Eisenhower as his method for prioritization. Frequently, in our hurried lifestyle, we convince ourselves that everything has to be done right away. This is rarely the case. 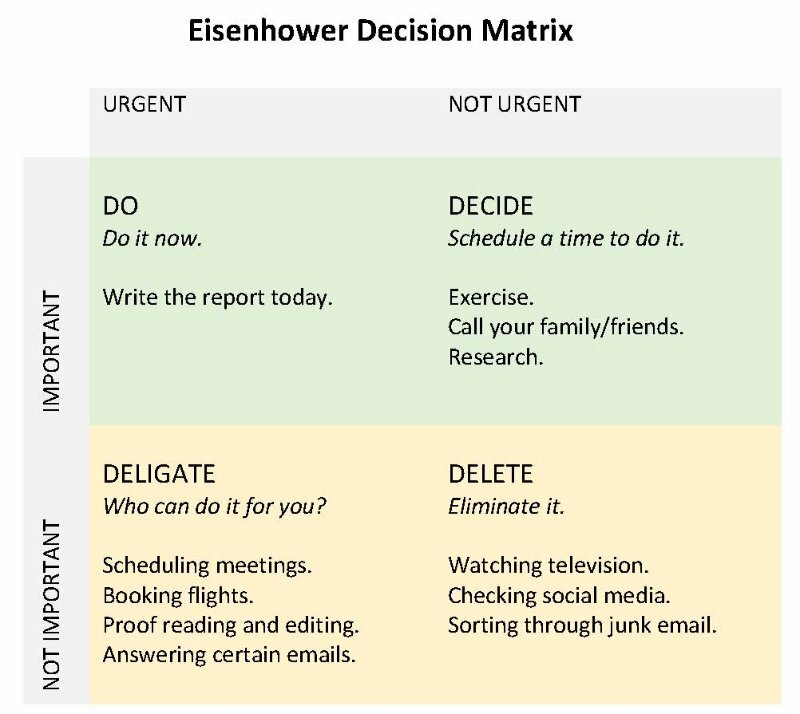 Eisenhower developed his matrix separating tasks into urgent and important in order to help him prioritize. Important/Urgent quadrant are done immediately and personally (e.g. crises, deadlines, problems). Important/Not Urgent quadrant get an end date and are done personally (e.g. relationships, planning, recreation). Unimportant/Urgent quadrant are delegated (e.g. interruptions, meetings, activities). Unimportant/Not Urgent quadrant are dropped (e.g. time wasters, pleasant activities, trivia). The exercise becomes deciding where to place each task. As much as we would like to think it is possible, not everything can go into the Important/Urgent quadrant. In fact, regardless of the time-frame, a healthy prioritization of tasks would have an equal number in each quadrant. It is possible to create a matrix for a specific project, the weekend, or for the next 6-months. The matrix is fluid. Once a task is complete a task from a different quadrant can be move up. If urgency increases quickly a task may leap over other tasks. A burst pipe in the kitchen or a sick child jump into the Important/Urgent grid unexpectedly. There is a benefit of taking pressure off by designating some tasks as Important/Not Urgent and Urgent/Not Important instead of everything being Important/Urgent. I use this matrix as a spreadsheet on my desktop that gets updated daily. I have seen it used on sheet paper or flip-charts or dry-erase boards. For some reason, being able to move post-it notes from one quadrant to the next, or off the matrix completely, is very satisfying. So how to decide? How do you determine which task goes where? The process is a reflection of your priorities and values. It is critical that some tasks require help. It is also critical that important tasks not be neglected. If a task sits in the Not Important/Not Urgent quadrant for too long, maybe it needs to be dropped entirely from the list. If the Urgent/Important quadrant has tasks there needs to be a very good reason to work on something else.